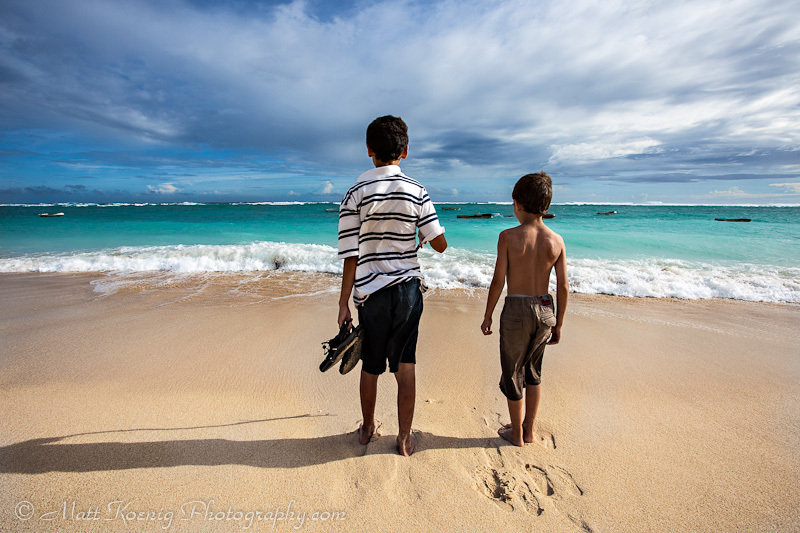 The boys enjoying some beach time at Pandawa beach in Bali. It’s been quite some time now since I have posted an update. You may have thought that the sabbatical was long done and finished. But no, we are now in Bali and have been for about a week now. While this site has always been about documenting our sabbatical from start to finish and providing useful information for others who want to embark on a sabbatical of their own, the sabbatical itself has always been about the experience. And to that end we have been having some really amazing experiences here in Indonesia. It’s been great and I think we are all a little sad to think about it coming to a close. Life rolls at a different pace here. The weather is great. The people are great. The food is incredible. I can definitely see why people “go bamboo”. So stay tuned for much more from our sabbatical. I’m sorry I haven’t written more but my priorities are in having as many experiences as possible. The writing comes second. Cheers from poolside in Nusa Dua Bali. so happy to see you live your dream my friend, especially with your kids, such a beautiful thing. Love your pics too! Pura vida! It’s been an incredible life changing experience Ivan. Sent you an email with more details. Wow Matt! So glad to hear you’re having a fantastic time and it sure sounds like you are. Can’t wait to hear all the details! The boys must be in 7th heaven! Only one question right now….what are you doing “playing in a pool” when you’ve got the warm Indian ocean and beautiful beaches out your front door?! Well, keep soaking up that warm sunshine cause you won’t find it back here in Oregon right now! We are all really enjoying the time here in Bali. And we’ve managed to do it without spending much on accommodations using credit card points. Today we move into a 2 bedroom villa in Sanur on the beach for our final 2 days in Bali. The pool fun was actually in a remote area of Ubud which is a distance from the ocean. You would have liked it there; very remote and quiet, lots of fruit trees on the grounds, wildlife every where. Very very peaceful. With the exception of one couple who have been there for a year we were the only people in the entire place so it was like we had our own private hotel in the jungle. Thanks Matt. Hey, one other question. What does the term “go bamboo” mean? I haven’t a clue. Now get back to that beach!